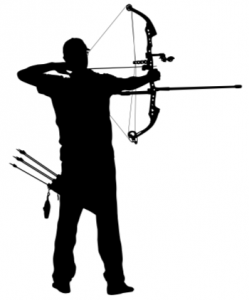 What Is A Bow Stabilizer In Archery? 1. A bow stabilizer is an accessory mounted to the front of a bow in order to resist the torque created when the bowstring is released. The bow stabilizer extends from the front of the bow to add weight that balances out the torque. This helps to steady the bow as an archer aims and releases the bowstring. 1. The archer releases on the bow string, allowing the stabilizer to absorb some of the vibration.